The tapered baguettes in this sapphire engagement ring highlight the beautiful centre blue sapphire and give this ring an old-world antique feel. There are many shades of blue sapphire, which occur naturally when a sapphire crystal grows in the presence of titanium. The darker colours are often described as Kashmiri, as the best of these stones come from Kashmir. Montana sapphires (also a nod to origin) tend to be dark blue with a hint of green. The lighter colours, often from Sri Lanka, are usual described as "cornflower" or Ceylon sapphire. There are a number of famous blue sapphires, including the sapphire that Prince Charles selected for Princess Diana (now Kate's) sapphire engagement ring. With a hardness of 9 on the Mohs’ scale of hardness, sapphires are relatively tough gemstones that are durable enough for everyday wear. They are also relatively easy to keep clean. While a sapphire worn every day for years is likely to show wear and tear along the facet edges and sapphires do break occasionally, sapphires of all colours (including rubies!) are among the few gemstones suitable for use in engagement rings. 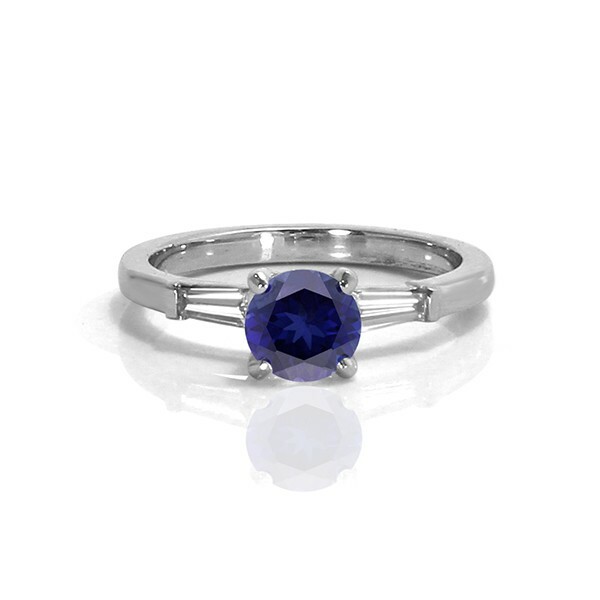 We love making sapphire engagement rings, so if you're interested in one, please let us know!